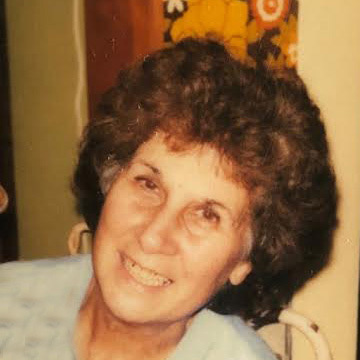 Rose F. Beasi, 99 of Clarksburg, Northview Community, passed away on Monday, April 1, 2019 at the United Hospital Center. She was born October 25, 1919 in Stonewood Hill, WV; the daughter of the late Anthony and Mary Greco Caputo. Rose was the last surviving member and matriarch in her family. She will be best remembered for her generous and giving nature. Rose was a member of the St. James Catholic Church and the Alter Rosary Society. She also worked for Eagle Convex and later at the Kidde Center. Rose was a wonderful Italian cook and Fritti maker. She worked the concession stand for the Notre Dame games. She also loved her flower garden and all things in nature including the birds and bees. Rose is survived by her three children, William Beasi and Wife Sue of Boca Raton, FL, Carol Beasi Howard of Clarksburg, formally of FL and Robert Beasi of Clarksburg; six grandchildren, Jon and Logan Howard, Tiffany and Tiara Beasi, Angela Beasi, Johnny Beasi; three great grandchildren, Bree Howard, Robbie Beasi and Andrew Kallel; special nieces, Mary Mells, Flora Rebrook, Sherri Renae, Jaanette Beasi, Sue Garfield, Barbara Morley and Joey Tucker deceased; special nephews, Eddie Caputo, Daniel Daetwyler, Albert Buzzilli, special lifelong friends, Tootsie Amodio, Marry Jo Veltri, Lucille Henline, Betty Banko, Barbara Tiano, Melinda Strahan, Josephine Ferrari, and Lucille Geso deceased. In addition to her parents, Rose is preceded in death by her husband John Beasi Jr. on June 14, 1999; son in law, Jack R. Howard; seven brothers, John, Frank, Joe, Sam, John Brown, Charlie and Robert Caputo; four sisters, Minnie, Isabelle, Angeline and Jenny; and three infant siblings. Family will receive friends at Davis Funeral Home, 124 Olen Thomas Drive, Clarksburg, on Friday, April 5, 2019 from 3-8PM with a Vigil Rite at 7:30PM. A Funeral Liturgy will be held at Saint James Catholic Church on Saturday, April 6, 2019 at 10:00am with Father Akila Rodrigo as presider. Interment will follow at Holy Cross Cemetery. Online condolences may be sent to DavisFuneralHomeWV.com. 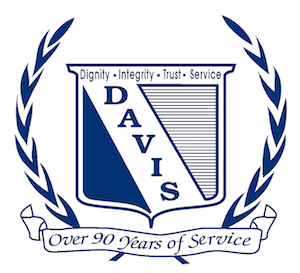 Davis Funeral Home is honored to assist the Beasi family.